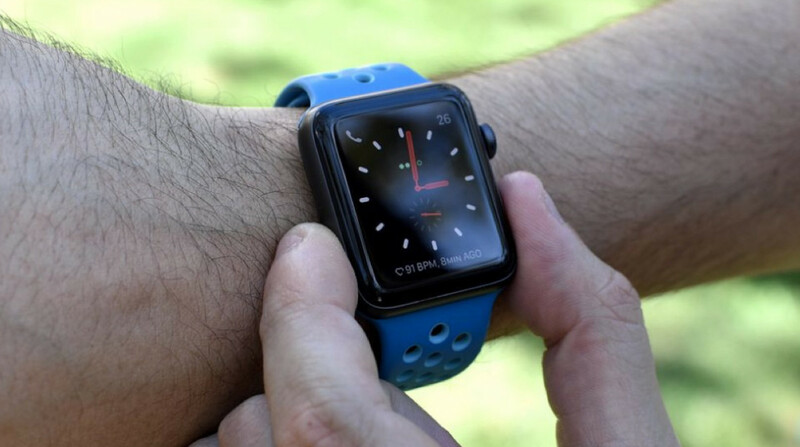 With Amazon Prime Day well underway, mountains of deals are in place for the latest wearable tech - but the retail giant isn't the only outlet offering savings. Other retailers are looking to pull you away from the day and a half of sales, even offering reductions on smartwatches and more not offered by Amazon itself. And one of the best deals you can take advantage of right now is Best Buy's Apple Watch Series 3 offers, which sees you save $50 on pretty much every variation of the device. The 38mm, non-LTE version of the Series 3 is your cheapest entry point, coming in at $279 for either the rose gold, silver or space gray casing and the sporty, silicon strap. If you want to push things up to 42mm, you can still save the same $50 - with all the same variations available for $309, down from $359. Crucially, this doesn't just apply to the entry-level version of Apple's smartwatch, either. If you want the full capabilities of the Series 3, which allows it to act independently from you smartphone, you can still make a saving. Instead of the full $399 hit for the 38mm LTE Series 3, or $429 tag for the 42mm equivalent, you can again make the $50 saving and pick up the device for $349 or $379, respectively. As you can imagine, this saving also includes the various Nike+ models, stainless steel casings and even the lofty, top-end Apple Watch Edition. With Amazon not offering the biggest savings on Apple Watch models, this really does represent your best chance to pick one up on the cheap. With no indications from Best Buy as to how long the deal will last, though, you may need to act fast to avoid being disappointed.